William Davidson was born in Jamaica in either 1781 or 1786, according to various sources. The information about his parentage in Jamaica is somewhat confusing, but his father was obviously White, and his mother either Coloured or Black, and probably free. It is probably, for now, more useful to recount what seems to be known of his life after he left Jamaica. It is said that he was sent to Scotland, against his mother's wishes, when he was about 14, to continue his schooling. Then he was apprenticed to a lawyer in Liverpool, but tiring of this he ran away to sea and was twice 'pressed' into the Royal Navy. On getting out of the Navy he was given the opportunity to study Mathematics at Aberdeen University. Finally giving up on the academic life, he became an apprentice to a cabinet maker, in Lichfield, in Staffordshire. 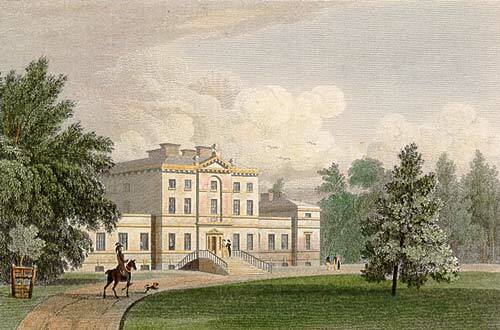 At some point he worked for the Earl of Harrowby, at his estate, Sandon Hall, also in Staffordshire. He moved to Birmingham and set up his own business, possibly using a legacy of £1200 from his mother. Either in Lichfield or Birmingham he had hoped to marry the daughter of a merchant, Miss Salt, but her family was opposed to the marriage and confrontations and court cases took place; the young lady was sent away and soon married another man. This disappointment was a severe blow, and Davidson's business in Birmingham failed, leaving him with little to hope for. He gravitated to London, like so many in search of work and better prospects, and got a journeyman's position with a cabinet-maker on Haymarket. For a time he taught in a Methodist Sunday School, but experienced problems when he was accused on 'insulting' one of the young women teachers. He claimed later that he tracked down another Coloured man who was in fact the culprit, and that the young lady apologised for the wrong she had done him, shaking his hand and asking his pardon. There were of course many Black and Coloured men in London at that time, so undoubtedly such errors did occur. 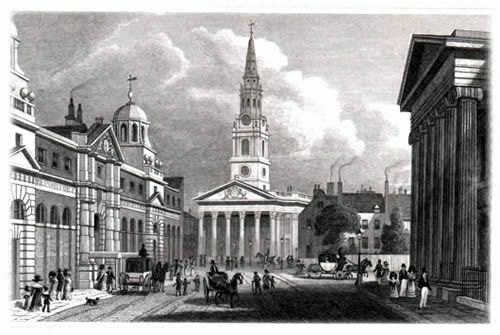 Soon he again started a business of his own, in Walworth, and married Sarah Lane, a widow with four children, possibly at St Martin in the Fields in 1816. The marriage produced two sons (whose names vary in the references), and the family lived on Elliott's Row near the Old Lord's Cricket Ground (just east of Marylebone Station). According to Peter Fryer the strong, dark-eyed, dark-haired man was popular in the area, and entertained his neighbours in his home. 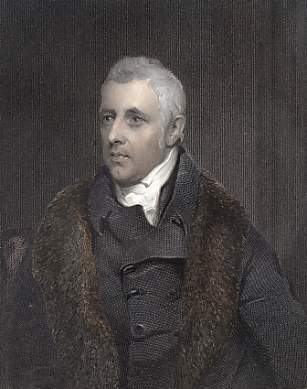 He joined the Marylebone Union Reading Society, a Radical group formed in the aftermath of the infamous Peterloo Massacre of 1819 when 11 unarmed working-class demonstrators were shot and another 500 were injured. The group sometimes met in Davidson's house. His apparent relative prosperity at this time is belied by reports that earlier in 1819 he had had to pawn his cabinet-making tools and other things, had had no work for nearly 5 months and had been reduced to begging on the street. It was at this juncture that he became involved, to whatever extent, with the group which were the supposed instigators of the 'Cato Street Conspiracy'. 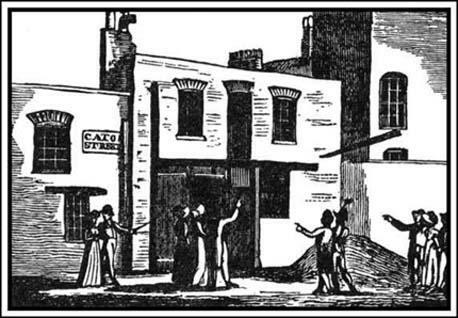 The Cato Street Conspiracy of 1820 was just one relatively small part of the on-going waves of the Radical Movement in Britain in the late 18th and early 19th centuries. ( see E P Thompson, The making of the English working class, 1963, Chapter 15, for one historian's view of the time.) The leader of the group involved was Arthur Thistlewood, a well-known London Radical, but a government secret agent, George Edwards, was also a key figure in developing the plot. The primary intention was to kill the entire British Cabinet while they were, all too conveniently and publicly, taking dinner at the house of the Earl of Harrowby, Lord President of the Council, in Grosvenor Square. Beyond this there were ideas about setting up a provisional government, seizing barracks and arsenals, and getting support across the country. All this seems fairly fantastic, but it was being carried through at the time of the death of George III and the succession of George IV; in December 1825 a group of Russian officers tried a similar plan in similar circumstances, with a little more success, though being quickly crushed by the new Tzar, Nicholas I; it was a time when there were many patriots who saw it as their duty to overthrow established governments. 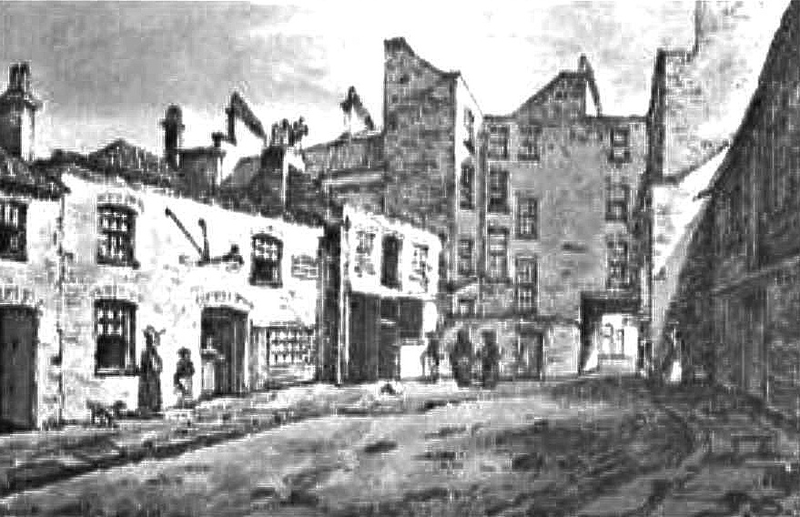 In the event the 'conspirators' were arrested before they could do any harm, in a hay loft over a stable in Cato Street. William Davidson's role in the 'Conspiracy' is not entirely clear; reportedly it was Edwards who brought him into the group of shoemaker Radicals. He became secretary of a shoemakers' union and helped with organisation. Since he had once worked for Harrowby, he was apparently used to 'suss out' the situation at the house on Grosvenor Square. He was also, reportedly, responsible for acquiring considerable amounts of guns, gunpowder and ammunition for the group. He was made responsible for guarding the hay loft on Cato Street, the groups' headquarters where all the military supplies were stored. 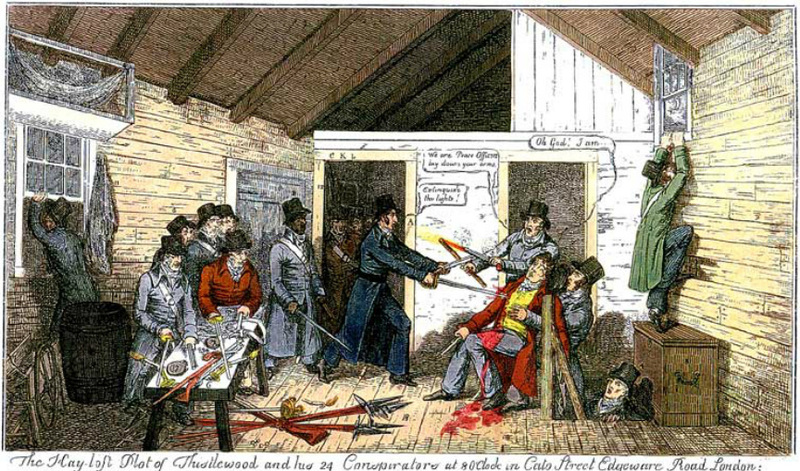 As the conspirators prepared, on February 23, 1820, to launch their attack, the forces of the authorities lay in wait for them, and burst into the hayloft, capturing nine of the group, including according to the official reports, William Davidson, who was armed with a sword. Thistlewood escaped but was soon tracked down. Thistlewood killing Smithers one of the government agents. In the treason trials which followed ten men were eventually found guilty, but the sentence of death on five was commuted to transportation. 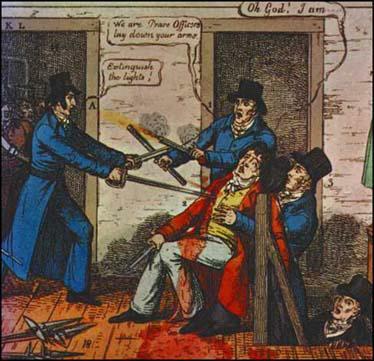 Davidson was among the five executed; Lord Chief Justice sentenced the men as follows “That you, each of you, be taken hence to the goal from whence you came, and from thence that you be drawn on a hurdle to a place of execution, and be there hanged by the neck until dead; and that afterwards your heads shall be severed from your bodies, and your bodies divided into four quarters, to be disposed of as his Majesty shall think fit. And may God of His infinite goodness have mercy upon your souls”. 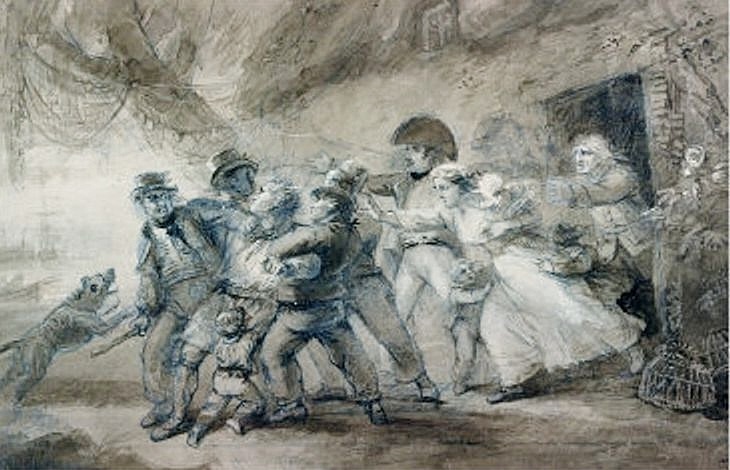 The actual executions, on May 1st, 1820, included the hanging and beheading, the other stages having been excluded for varying reasons; this was the last time that the sentence of 'hanging, drawing and quartering', albeit in attenuated form from the earlier horrendous process, was carried out in England. The form of execution was used once more in Scotland, but stayed on the the statute book until 1870, less than a century and a half ago. 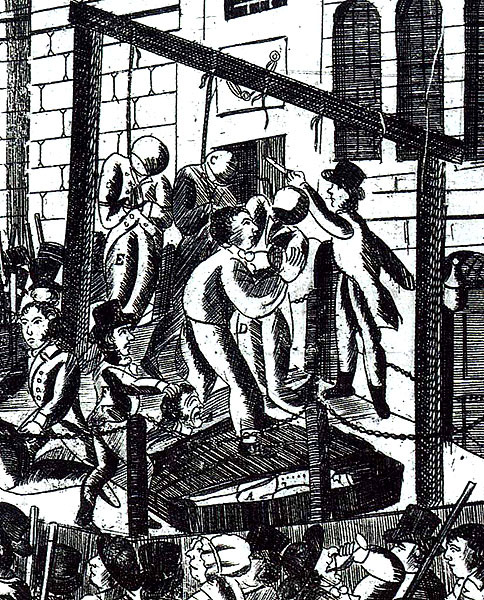 The accounts of the public executions all seem to agree that the five men died bravely, and that the large crowd clearly showed its sympathy with them. Throughout the trial Davidson had maintained his innocence; speaking in his own defence he denied having any part in the conspiracy, insisting that witnesses must have mistaken him for another 'man of colour' who was involved. He accused a man who had once employed him, and who was in fact in league with the government agent, Edwards, of tricking him into being on Cato Street on the evening of the planned coup. While the scenario seems unlikely, the difficulty White witnesses still seem to have in distinguishing one Black man from another, means that Davidson's protestations of innocence are within the bounds of possibility. If he was telling the truth, he died the victim of a horrendous miscarriage of justice; if he was lying, he died as one of the many martyrs in the cause of violent political revolution. Either way he symbolises the helplessness of the 'ordinary man' confronted by the relentless power of the state. There are two statements in his defence which seem to point to a considerable level of alienation, in spite of his apparent integration into life in London. He said - 'I am a stranger to England by birth, but I was educated in England; my father was an Englishman, my grandfather was a Scotch-man. I have not a friend in England. I have not a relative.' This total distancing from his English 'heritage' has a reverse side in his dissociation from his African 'heritage' - 'I never associated with men of colour, although one myself, as I was very well brought up, and always found most of them so very ignorant . . .' This may be the most disturbing feature of William Davidson's story.